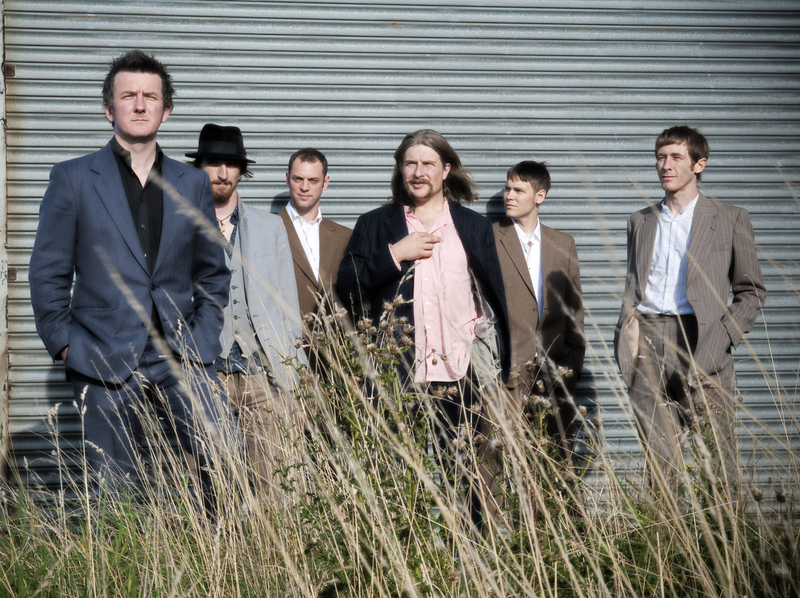 The Drogheda Arts Festival will welcome Mix Tape to their stage on Saturday the 30th of April for three nights. 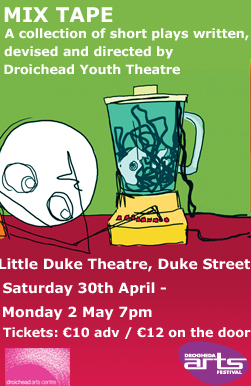 Mix Tape is a collection of short plays written, devised and directed by Droichead Youth Theatre. With a cast full of fun and energy Mix Tape is definitely one not to be missed! Interview with Niall Cleary, Director and Co-ordinator of Droichead Youth Theatre. Hi Niall, so can you tell us a bit about yourself and how you came to be involved in Droichead Youth Theatre? I’d been working as an actor for a few years when the Director of the Galway Youth Theatre asked me to direct a show for GYT. I was quite reluctant at first but it was one of these scary things you got to do! I did and I loved it. I’ve been working with youth theatres ever since. I then did a course called ArtsTrain with NAYD, shortly after the post as Director of Droiched YT came alone. I applied and here I am! So whats Mix Tape all about? Good question! The nature of any devised piece is that you are constantly searching for it until you perform. We put a proposal together for NYCI to create unconnected scenes written and directed by the youth theatre and put them together and we’re amazed to find that we all felt like we we’re watching a tv chat show. We persued that idea and we’re still chasing it. Richard and Judy meets the Front Line meets MTV! What are the cast like that you work with? The cast are fantastic to work with. The challenge of working with a big group is hearing all the voices and sharing ideas without descending into chaos! The group are from the town and surrounding areas. All aged between 14 and 18. We’ve got a very mixed bag of personalities working on Mixed Tape. Pardon the pun. They are a talented group that keep on surprising me. If you could describe Mix Tape in three words what would they be? Is everyone looking forward to the show and what is it like now in rehearsals with only a little over two weeks left until they preform? Two Weeks aaaggghhhh! We’re looking forward to the the show. It’s exciting to engage with an audience. You need that interaction to motivate you towards the final push. It’s hard work at times, easy to get carried away having fun. I’m starting to put my serious face on. The group aren’t fazed. We want to have fun with our audience! This week we have lots of exciting events lined up in Droichead Arts Centre so plenty of reasons for you to visit our venue during mid-term break. This Friday and Saturday we have the fantastic family show “A spell of Cold weather” scheduled. 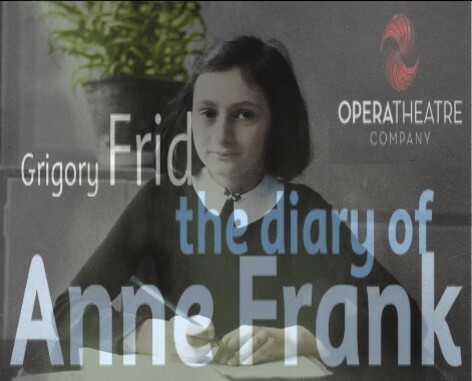 This play is produced by Little Duke Theatre in partnership with Droichead Arts Centre. The play is set on a farm, which is the home of two down in the mouth farmers, Betty and Bob. 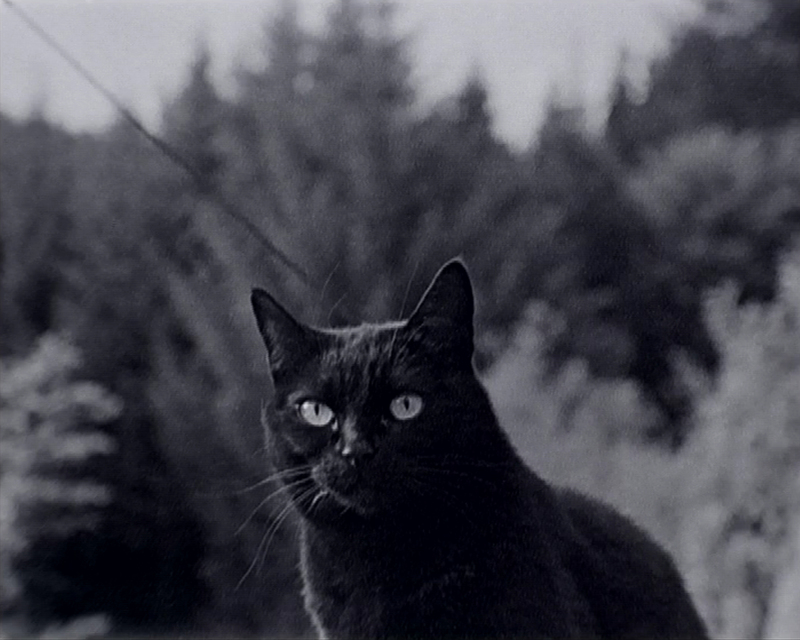 They have lost touch with each other, their animals and their own culture. In the time between Christmas and New Year, Betty and Bob get a surprise. Together Holly and Tomos bring the farm back to spiritual health and the play ends with an unforgettable, magical, New Year’s night party. The renowned artist Maureen Finn will facilitate clay workshops for our youngest artists this Saturday in her studio at Millmount. Create new masterpieces and learn the skills of working with clay, with a hand on and fun approach workshop. No reason for kids to be bored during mid-term. Definitely worth a stop when in the neighbourhood is Magnhild Opdøl’s exhibition “Until the end” running in our gallery in Stockwell Street. This exhibition displays the most amazing detailed drawings. And last but not least we have “WWE Style Wrestling” scheduled for this Sunday. With this show you are guaranteed a night of family entertainment, high octane action and a high energy spectacle. For more info and tickets, contact our box office on 041 9833946 or go to our website. 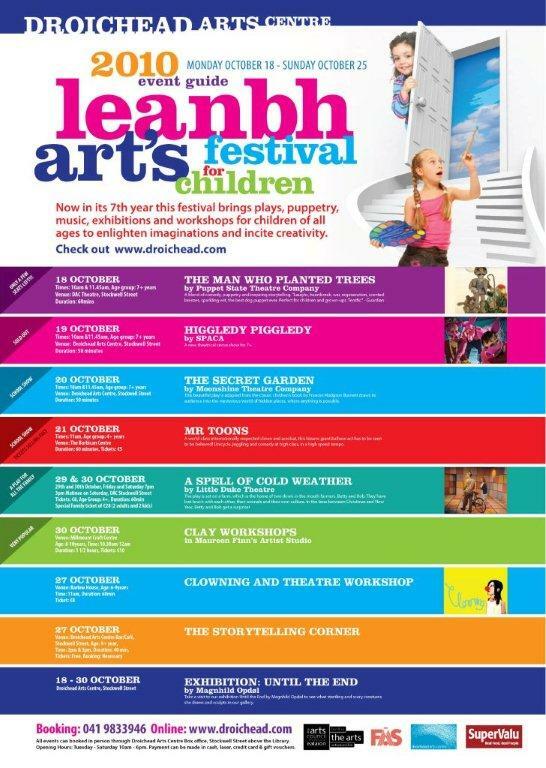 Droichead is getting all ready for its 7th Leanbh Arts Festival for Children and we are so excited here to see lots of happy children coming to our shows. Plenty of music, workshops, puppetry and plays are being organised in Droichead Arts Centre and some shows will even travel to primary schools in and around Drogheda. The Festival is on from Monday the 18th until Sunday the 25th of October. Droichead Arts Centre is very much looking forward to the site-specific interactive performance by Siamsa Tire Theatre Company called ‘What the Folk?’ It will take place in the drawing room areas of An Grianan in Termonfeckin, Drogheda on the 5th, 6th and 7th of October. The performance gets a great review in the Irish Theatre Magazine. ‘As the representatives of the National Folk Theatre speak informally of their repertoire, deliver songs as casually and proudly as party pieces and gingerly trace step dances from armchairs, we are treated like guests for a discreet display of tradition. What is surprising is that this gentle introduction soon becomes an unbridled release of genuine feeling’. Click here to read more. There are only 25 places per performance, but all 3 nights have shows on at both 6.30pm and 8.30pm. Tea and some delightful cakes are also part of the performance! 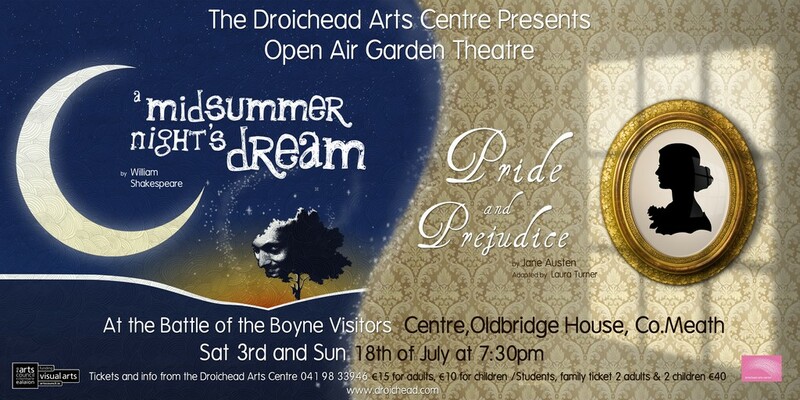 For more info and tickets call our box office 041 9833946 or check out of website www.droichead.com. We have a fantastic new exhibition ‘Looking into the light of dark matters…’ lined up with installation work by the artist James Hays, opening on Friday the 3rd of September. ‘Looking into the light of dark matters…’ is a new large-scale multimedia installation created for Droichead Arts Centre. The work consists of numerous wax and bronze casts of iconic objects, which run, in co –ordination with a multi-screen digital video projection twinned with additional digital sound components. On the 16th of September we have the brilliant comedy Psycho Spaghetti programmed. This comedy by Ger Carey’s is written specifically for teenagers. It’s a hilarious one-man show which attempts to answer the age-old question: “Just what is going on inside the teenage brain?” The show is 100 minutes of laugh-out-loud comedy aimed at getting teenagers to laugh at themselves and view themselves as part of a bigger picture. The show is perfect for Transition Year students, LCA, Youth Reach and even grown-ups! On the 24th of September we are celebrating Culture Night. Droichead Arts Centre is delighted to be taking part in the first culture night celebration in Drogheda. Culture night began as a small Dublin event organised in Temple bar in 2006, and this year is spreading to towns around Ireland. Droichead will team up with Highlanes Gallery, The Barbican, Calipo Theatre Co., Upstate Theatre Project, Droichead Youth Theatre and Nexus Arts to present a wonderful line up of exhibitions, music, poetry, film, theatre and open studios. All events will run from 6pm -10pm unless stated otherwise. A programme schedule will be released on our website closer to the date. The ‘Early Bird catches the Deal’ is our motto this season so booking early is recommended. 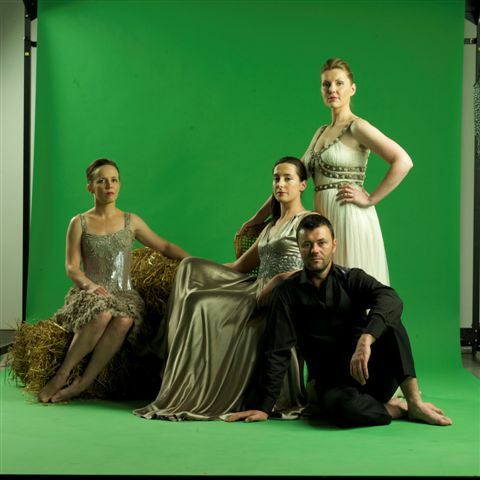 For info and tickets go to our website www.droichead.com or contact our box office on 041 9833946.